The second of the six parts of a practice session. If we think of the practice session as a set of drawers, we start at the top and work our way down. 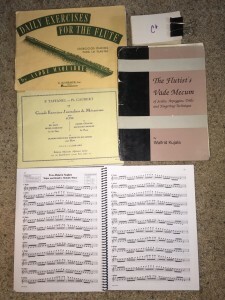 Today, we will look in the second drawer: scales and technique exercises. Scales. There are many different kinds of scales– major, minor, chromatic, modes, whole tone, jazz, pentatonic, and so forth. Work on memorizing the scales. Check out the Scale Game I use with my students. Advanced players will also want to practice scales in thirds, octaves, full range, descending first (then ascending), and any other combination you can think of. Intervals. 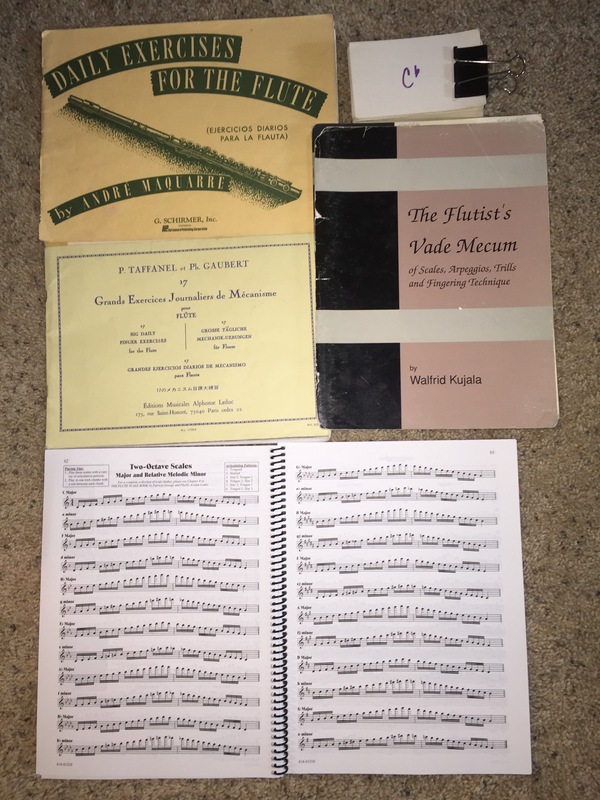 Each instrument will have unique needs for interval practice, but we all benefit from working on difficult combinations of notes. I like to use an exercise of expanding intervals to increase flexibility. Lip slurs are great for brass players. All wind players can work on the harmonic/overtone series. Articulations. Practice different kinds of accents, like marcato, staccato, legato. Work on the beginnings of notes. Don’t forget about articulations: single, double, and triple tonguing. Pianists may use exercises to improve their repetition speed and pedaling. Interleaving: That’s a cognitive science word, and it simply means mixing related but distinct material during study. –From How We Learn by Benedict Carey. Choosing scales and technique exercises that are related to the repertoire you’re studying actually makes it easier. That’s really the whole point of scales and technical exercises anyway. Fingers flying, mind roaring, let’s move on to ETUDES.